TV actress Chahatt Khan recently had to go through a horrific ordeal on Holi as her car was attacked by a drunken mob. As told to spotboye.com by the Bade Achche Lagte Hai actress, a group of 14 people who allegedly consumed bhaang on the festival smashed her car and tried to hurt her, kids and her driver. However, the cops who arrived at the right time, saved the things from spiralling out of control, she said. Chahatt Khanna Reveals The Shocking Turn Of Events That Led To Her Mother's Death. In an interview with the entertainment portal, Chahatt said, "They then forced my driver to get down somehow and started beating him up. The next thing I knew was that the back glass of my car had also been smashed. Soon, they were on the bonnet of my car and even on the roof, dancing and singing. It had now gone wild." She also added how she herself got off the car to deal with men. Further, the actress questioned the checking system on the festivals. Adding about it, she said, "They were all sloshed with bhaang. Why are no checks possible to detect bhaang? Anyway, I took my chappals and threatened them. Worse still, 4 of them started getting physical with me. I decided to call the local MLA, but at this very juncture the cops arrived. Had they come 5 minutes later, I don't know if I would have been alive." 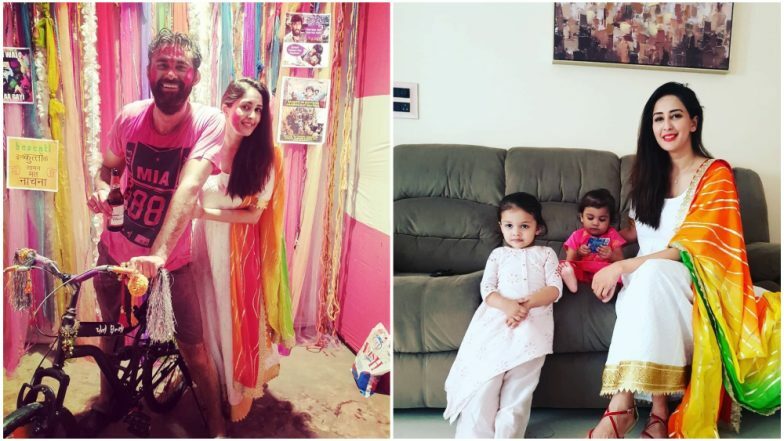 Chahatt Khanna-Farhan Mirza Divorce: While Actress Calls Herself ‘Single Mom’, Husband Says ‘Not Willing To Give Up On My Family’. Even after this terrible incident, the actress chose not to file a police complaint against any of the men. She stated that her kids' safety is more important to her and hence did no go further with the procedure.